Planning a vacation? Buying a new or used vehicle? Adams Community Bank has the right loan for you. 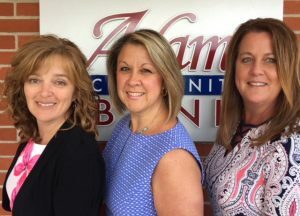 Our loan decisions are made in-house by our Loan Officers who have over 75 years combined banking experience and are here to help you find the loan that best fits your financial needs. *24 hours or less includes Monday-Friday during normal business hours AND does not include Saturdays, Sundays or Bank Holidays. Decision assumes that key information is provided by the applicant. Our easy application process and fast, local lending decisions will ensure you don’t miss out on the deal you want. Available for almost any purpose to fit your budget and suit your lifestyle. Allows you to borrow against your savings accounts and certificates of deposit. Apply for an Auto/Personal/Collateral Loan Today!